The 6 MatteBoxes in the 450 series perfectly meet the requirements of shooting with compact camcorders and DSLR cameras. All models fit the 15 mm Lightweight Supports on the base of the 401-400. All filters can be moved vertically and fixed in all positions, all filters are also rotating. 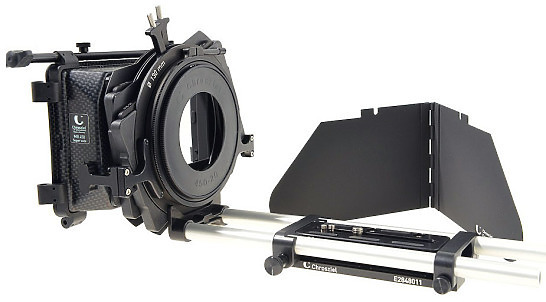 They come ready for shooting, with multi-format filter holders 410-04 (for 4x4” and 4x5.65”) and 402-12 (4x4”) for the rear stage, including French Flag and Front Mask**. ** Please always use the front mask for a focal length of 4.5 mm or more. It effectively increases the image quality as opposed to flaps mounted in front of the lens.